Zimpli Kids is a rapidly expanding manufacturer of innovative children's toys that are currently sold through distribution partners in 50+ countries throughout the world. We are a subsidiary of one of the world’s largest toy distribution companies, Simba Toys, with 30+ subsidiaries & 3000+ employees worldwide. 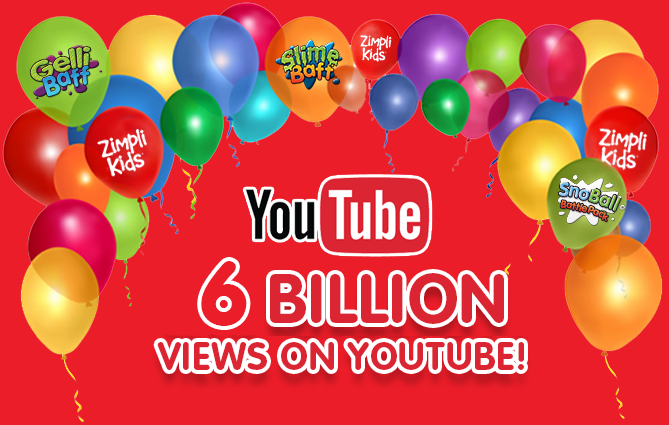 Our product ranges include the worldwide viral sensations, Gelli Baff and Slime Baff; two brands that have had over 6 billion views on YouTube in just over 2 years. The apprentice will assist with the day to day operation of marketing campaigns over a variety of media platforms, as well as using social media and the internet to research and reach out to influential people. This role requires someone who can build a comprehensive network with bloggers and social media influencers. The ideal candidate will be familiar with various social media platforms. The right candidate will excel in a fast-paced environment and have a passion for social media and marketing. Sourcing, building, and maintaining our blogger and social media influencer network. Identify, locate and engage with bloggers, advocates and influencers within social communities to build relationships. Manage and update media lists and contacts database. Market research and researching any given task. Additional jobs & duties may include assisting the MD with any tasks he may need completing, whether that consists of PA type jobs and/or administrative tasks. Must be computer literate with good Microsoft office skills.